I decided to do a little Flash Back Friday every now and again, as I’m looking through over a year of posts that I think deserve a second chance (considering a year ago I had like one faithful reader….thanks Mom! ) 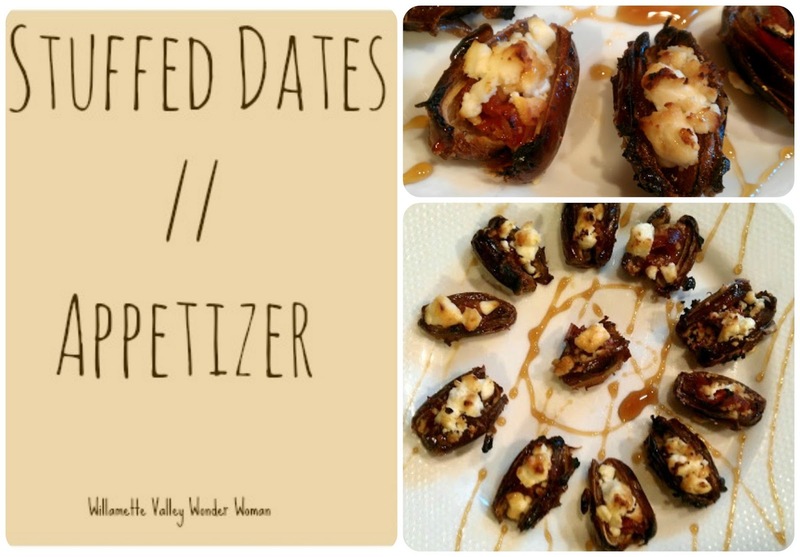 I created this stuffed date appetizer and it was surprisingly delicious. Everyone at my house always devours them so quickly when I make them. They are the perfect combination of sweet and savory. To view the entire recipe/tutorial click my link below! Just another week in Oregon. Hey these look absolutely yummy! Going to check out the recipe now. I would love for you to share this and link up to my TGIF Link Party! Who knows, you just might be featured next week! I love dates and these sound really good! Thanks for dropping this off at the In and out of the Kitchen link party! I ca't wait to see what you come up with next week! Love this! Need to try it soon 🙂 Thank you for sharing at our All My Bloggy Friends party ! Hey there! Thanks so much for visiting our blog and linking up such an awesome project! Have a great week!